Kindle Fire. WoW. It is amazing device. I always download e-Books. And theirs no way to read except looking on my monitor. Reading a book on monitor is not easy. But Kindle series made it easier. Easy to read. Easy to surf. And It's for internet. How ever Kindle Fire will change tablet market. Earlier kindle versions were not very handy because they are not colorful. 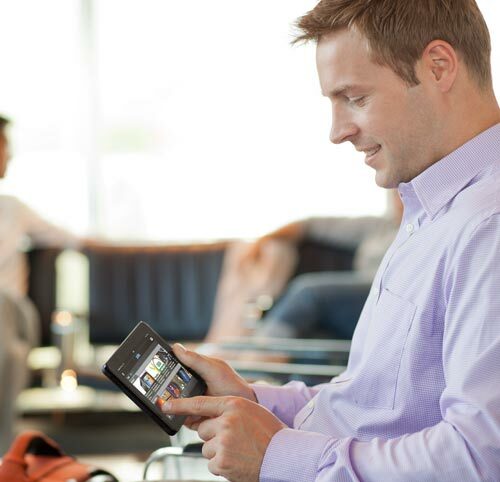 Now Kindle Fire is all-in-one internet device. Amazon had mentioned that Kindle Fire market was very good on Black Friday. But they don't like to show up the numbers. Sooner we can see that how Kindle Fire affects android tabs.